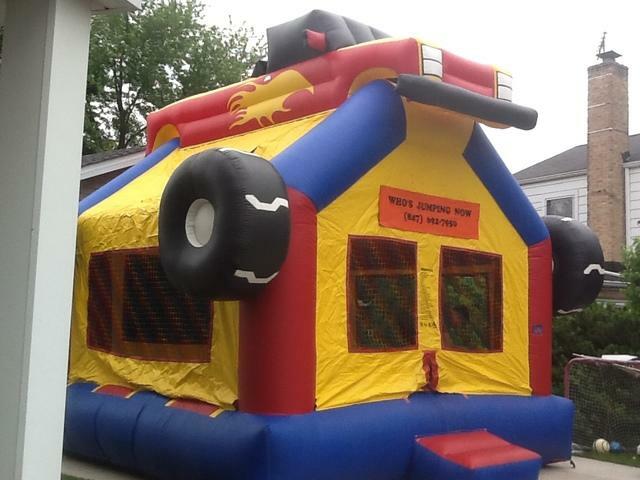 This Monster Truck bounce house is a hit with the Boys or even Block Parties. This is 2 stories tall and 15x15 bounce area. Colors are Blue, Red, Yellow, White with Black tires. This 15x15 unit can hold up to 10 kids from ages 3-7years old. 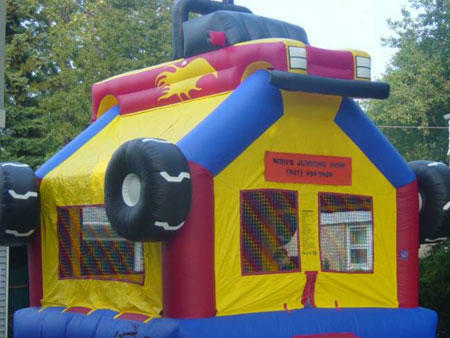 7 kid max from 8-12, and 4 teens max or if the adults want to jump too can hold up to 3 max adults. Fun times for everyone.